Take the next step in your career and improve your knowledge of building surveying and design and approval of performance-based building, in light of national and international fire codes. Gain an in-depth understanding of key concepts and alternative frameworks for performance-based building in fire codes. Further your knowledge through the assessment of performance-based building design and application of fire codes that this course provides. Develop your professional skills and approach to performance-based codes including an appreciation of legal, statutory and design integrity requirements, as well as the need for design compliance. As a graduate of this course, you'll be in high demand in the building industry. Become an expert in the approval process for performance-based building design and become familiar with the design concepts for fire safety systems, occupant safety and environmental sustainability. You'll be job-ready thanks to our practical approach to learning by industry-based lecturers. This course is specifically listed in the Building Regulations 2006 (S.R. No. 68/ 2006) - Regulation 113 as one of the prerequisites for a Relevant Building Surveyor (RBS) to determine that an alternative solution complies with a fire performance requirement of the Building Code of Australia (BCA). As a fire safety professional, you could gain employment in private business or the public sector, or work in the building industry. Many assessors and fire safety experts enjoy the benefits of self-employment and contracting. Employment for building surveyors to is expected to grow strongly (Job Outlook). Building surveyors in Australia earn an average of A$80,465 per year (PayScale). Our staff and associates include industry-expert professors from partners CSIRO, Metropolitan Fire Brigade, Victorian Building Authority and consulting engineering firm Umow Lai, Noel Arnolds and Associates, SKIP consulting, Scientific Fire Services and many more. 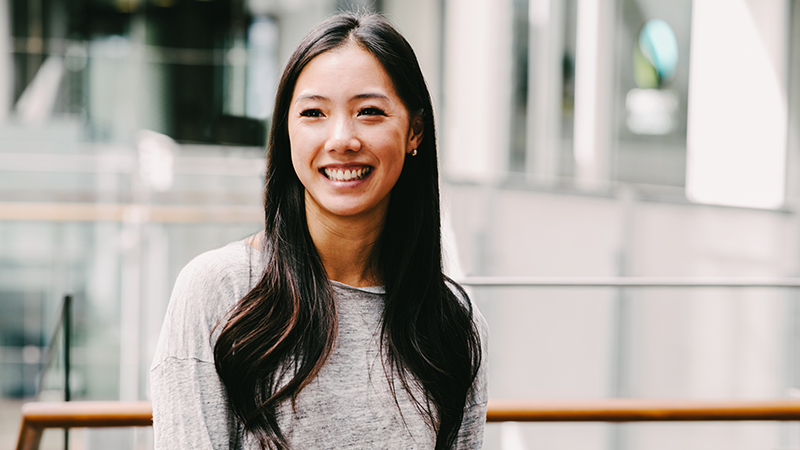 Dishana Liang found the balance between work and postgraduate studies through VU’s flexible block learning. Victoria University’s CESARE offers state-of-the-art research and testing facilities for safety engineering. The Australian branch of the Institution of Fire Engineers has more than 700 members, and is now the largest in the world. 48 credit points (equivalent to 4 units) of Core studies. 8. Develop an appreciation of the legal, statutory and design integrity requirements and the need for compliance of the design assumptions throughout the operational life of the building. A minimum five (5) years approved work experience. A letter of recommendation and an interview may be required. Browse our other Building and Construction courses or send us an enquiry to be notified of updates relating to this course.